Hey! Has anyone heard about this awesome, snack pack from Applegate! Introducing, the new Half Time Snack Pack! Here is the front of the box. You can see that it instantly catches your eye with the bright colors and yummy looking food pictured. 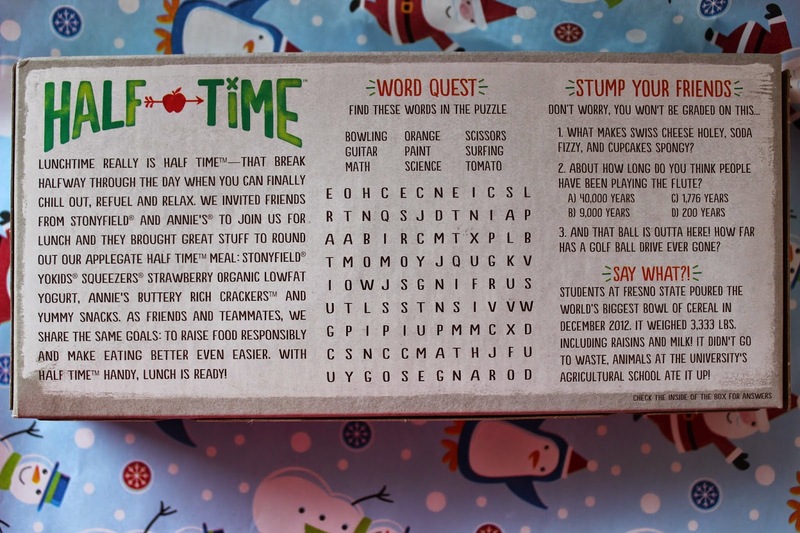 Opening the box, you can see that the inside flap has another game. Looking into the box you can see everything is individually wrapped and neatly placed in the box. Applegate's snack pack puts all the other snack packs to shame. Everything in this package is inspected for wholesomeness By U.S. Department of Agriculture. The turkey is humanely raised without antibiotics. Contains no preservatives, artificial flavors or colors. And, it tastes great! It's very juicy, fresh and actually tastes like turkey breast. You can tell that it's minimally processed. The cheese is delicious as well. The fruit snacks were gone in a flash. Its the first thing my son devoured. I got to try one, and they are truly the best fruit snack I have ever had. The texture of the fruit snack was soft, not too chewy. The fruit flavor was satisfying and not too sugary. My son loves yogurt so he had no problem munching the whole Squeezer down, quickly :) And, the crackers were tasty and crunchy. They had a slight cheesy taste to them. Combine the turkey, cheese and crackers and you have yourself a bite-sized sandwich perfect for little hands. 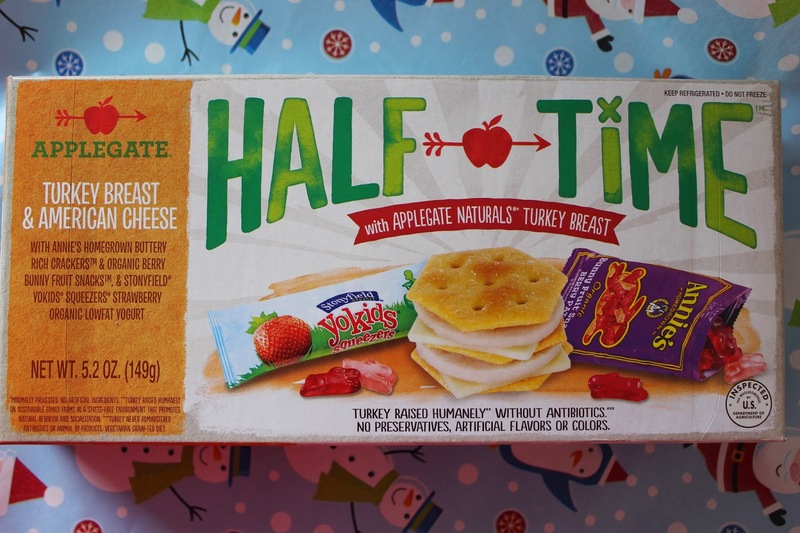 So, make your kiddos the envy of every other student at the lunch table and send them to school with a Applegate's Half Time lunch. Visit http://www.applegate.com/ to sign up for their newsletter, get product information, to locate a store near you that carries Applegate products, etc.